LAVAL, Quebec, Sept. 05, 2018 (GLOBE NEWSWIRE) -- Urbanimmersive Inc. ("Urbanimmersive" or the "Corporation") (TSX VENTURE: UI.V) (OTC PINK: UBMRF), the real estate content marketing platform, is pleased to announce that is closed today the previously-announced acquisition by the Corporation of Tourbuzz, LLC ("Tourbuzz"), the leading real estate photographer software solution provider in North America (the "Acquisition") pursuant to a securities purchase agreement (the "Purchase Agreement") dated July 13, 2018 between Urbanimmersive and Alan Pinstein and Paul Rodman (together, the "Vendors"). 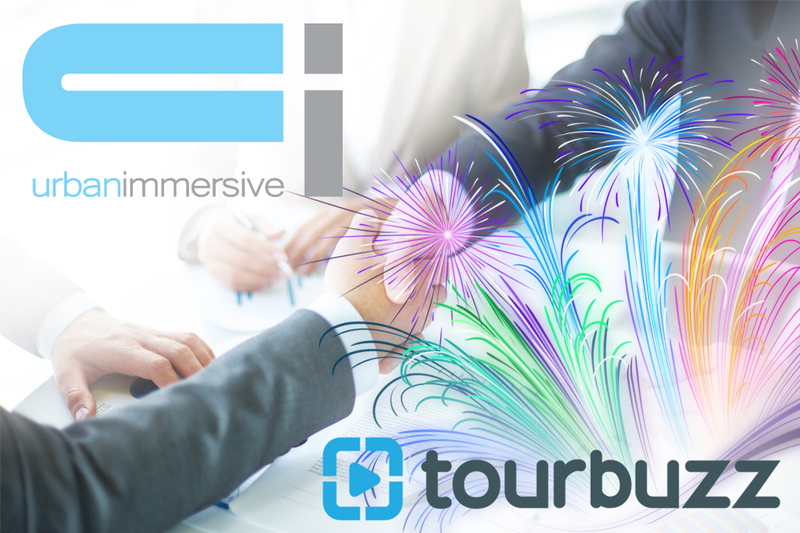 Pursuant to the Purchase Agreement, Urbanimmersive acquired 100% of the limited liability company interests in Tourbuzz held by the Vendors in consideration for (i) US$2,500,000 and (ii) the issuance of 1,560 secured convertible debentures (the "Convertible Debentures") at an issue price of $1,250 per Convertible Debenture and 1,950,000 common share purchase warrants (the "Warrants"). The Convertible Debentures are convertible into common shares in the capital of the Corporation ("Common Shares") at a price of $0.125 per Common Share. The Convertible Debentures will bear interest at a rate of 10% per annum and will mature on July 30, 2022 (the "Maturity Date"). If and whenever at any time after the date hereof and prior to the Maturity Date, the Corporation issues Common Shares at a price per Common Share (the "Issuance Price") less than the Conversion Price, the Conversion Price of all Convertible Debentures issued in the Private Placement will be adjusted to the greater of (i) the Issuance Price and (ii) $0.10 per Common Share. Each Warrant is exercisable into one Common Share at a price of $0.25 for a period of four years. "The acquisition of Tourbuzz has been a long and intensive process and we are very excited to have finally reached the conclusion today. This acquisition is significantly accelerating Urbanimmersive’s goal in becoming the fastest growing real estate marketing content platform in North America. Most importantly for shareholders, Urbanimmersive is now in a position to unlock the full value of its platform to the whole North American market, driving additional short and long-term revenues while positively impacting our operating results. As we have just become one of the market leaders in our industry in North America, long-term growth opportunities are coming to us, including such as the previously announced memorandum of understanding ongoing discussions with one of the largest real estate portals in North America. Now, it is all about execution and with this acquisition done, we are more focused than ever on our growth" stated Ghislain Lemire, Chief Executive Officer of Urbanimmersive. All securities issued as part of the Acquisition are issued pursuant to exemptions from the prospectus requirements of applicable securities laws and are subject to a statutory resale restriction until January 5, 2019. Established in 2008 and based in Atlanta, Georgia, USA, TourBuzz LLC. (www.tourbuzz.net) is the leading real estate photography software solution. Tourbuzz solutions are used by more than 1500 photographer businesses across the United States and Canada, as well as in Great Britain and Australia, performing approximately 250,000 (pay per transaction) photo shoots annually. Tourbuzz’s photographers have uploaded to date more than 32 million photos including videos and panoramas.